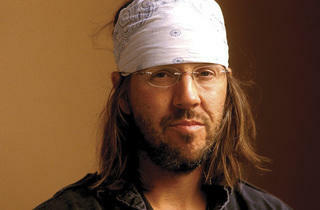 An examination of David Foster Wallace’s posthumously published novel. Editor’s note: David Foster Wallace’s posthumously published novel, The Pale King (Little Brown, $27.99), hit stores this week. The book contains various fictionalized IRS documents, so we asked one of Chicago’s top young novelists to draft up an IRS-style FAQ. What’s the deal with The Pale King? 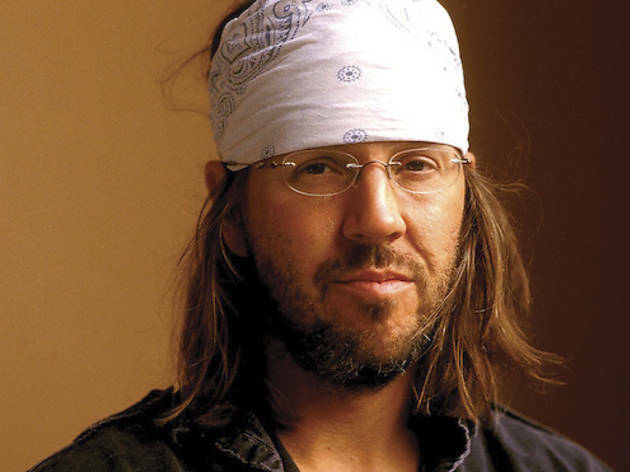 It’s an incomplete novel, and by virtue of its state at the time of David Foster Wallace’s death—part of the text neatly arranged in a stack at the writer’s desk, part of it hidden within thousands of typed and handwritten pages of drafts, notes and false starts—the question of its legitimacy, not to mention what it might have been like had David Foster Wallace not taken his own life in 2008, may as well come stapled in as a rider to the reader-writer contract. Is that addressed in the book? Still, that’s a lot of baggage to be stuffed into a novel’s cargo hold. But The Pale King, finished or not, represents a tremendous step forward for Wallace as an artist, an important text whose prose alone justifies its existence. Furthermore, in this final novel, the author seems to have at last found a way to balance his exhaustive intellect against the more emotional demands of storytelling, and in so doing expand his quest to explore—in service to the rest of us, yes, but perhaps also in search of an escape from—the sorrows of contemporary psychic pain. Uh, okay. But what is it about? The story follows a number of IRS employees, all of whom work in Peoria. This core conceit allows Wallace to explore the lives of a broad cast of characters, with Peoria serving as a geographical anchor, which also grants him the opportunity to narrate the landscape of the Midwest. A nice surprise for Chicago readers, too, is that the book touches upon some local landmarks and big moments in Chicago’s recent history—most notably, the snowstorm of ’79. How much does it resemble Infinite Jest? Unlike the plot of Infinite Jest—gigantic, thin, absurd—the movement in The Pale King is slower and less concerned with the wackiness of high postmodernism. There are a few echoes of Pynchonian world-twisting here, such as one character’s ability to intuit the facts of other characters’ lives, but the drama comes mostly from getting to know people and watching their histories unfold, not getting to know the outer limits of the author’s whim. Leonard Stecyk compulsively apologizes to the bullies who beat him up in school. Lane Dean’s hatred for work pushes him toward rolling panic attacks. Chris Fogle, who saw his father die in an accident, turns his life around after burning out in college. Meredith Rand’s husband is sick; she is self-conscious about her own beauty, sharp as hell, and seems to have a crush on Shane Drinion.… There are a lot of people. Between the cultish fan base, the posthumous issue, the IRS and the nonstop hype, shouldn’t a general reader be skeptical? Of course. There are so many red flags around this novel, it may as well be parked in a used car lot. But happily, The Pale King is self-evidently a beautiful piece of writing, with or without any standard denouement. At times it’s a difficult book to read, yes, but only inasmuch as Wallace’s expectations for his audience have always been high, and certainly no more difficult than Infinite Jest. The drama of The Pale King is the drama of the workplace and regular life, but its stakes are not intellectual—rather, they’re 21st-century spiritual and therefore utterly state-of-the-art. Last one. What was that you said about emotions? Perhaps more compelling than anything else, but also more inscrutable: While the events around the book are certainly sad, and while it is tonally somber at times, the novel itself is neither. And therein lies the rub, and the strange magic of Wallace, who often seems to be so many steps in front of the reader that understanding all those steps ceases to matter. In a way I don’t understand at all, and in a way that seems to be entirely Wallace’s intention, this story, and its sad and bored people, made me feel happy. Somerville reads at a Pale King release party Friday 15.